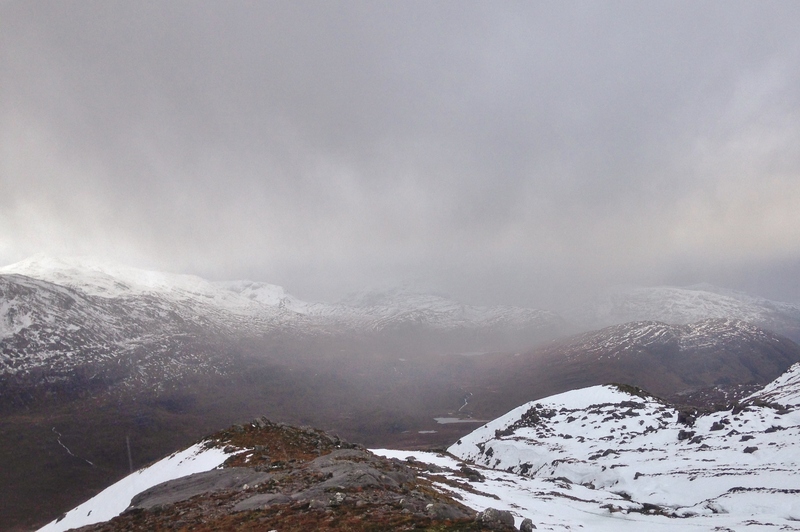 SAIS Torridon Blog » Storm Erik…? A rather benign ‘storm’ as the centre of the depression crossed the North-West. Wet and mild today with light to moderate SE winds. High winds and further bands of rain are expected late in the day. Summit rain in the afternoon as the temperature soared. 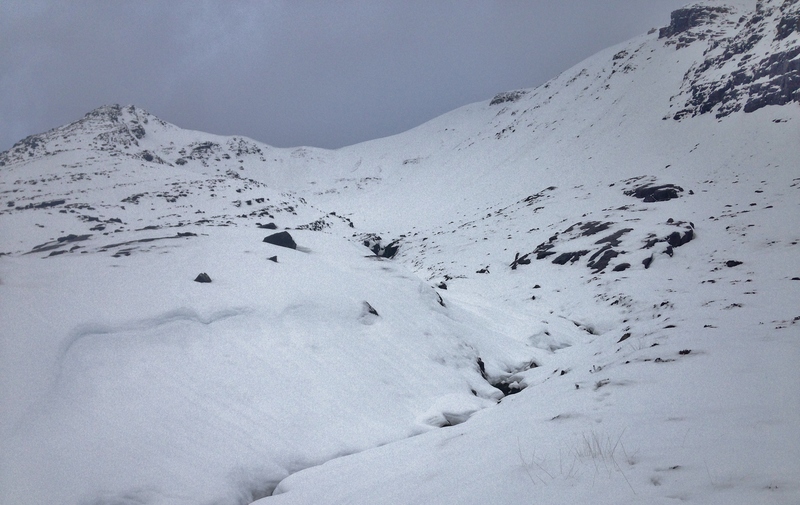 Numerous small avalanches on North-East aspects noted on Beinn Eighe this afternoon as cornice collapse triggered surface wet snow instabilities in the mild conditions. 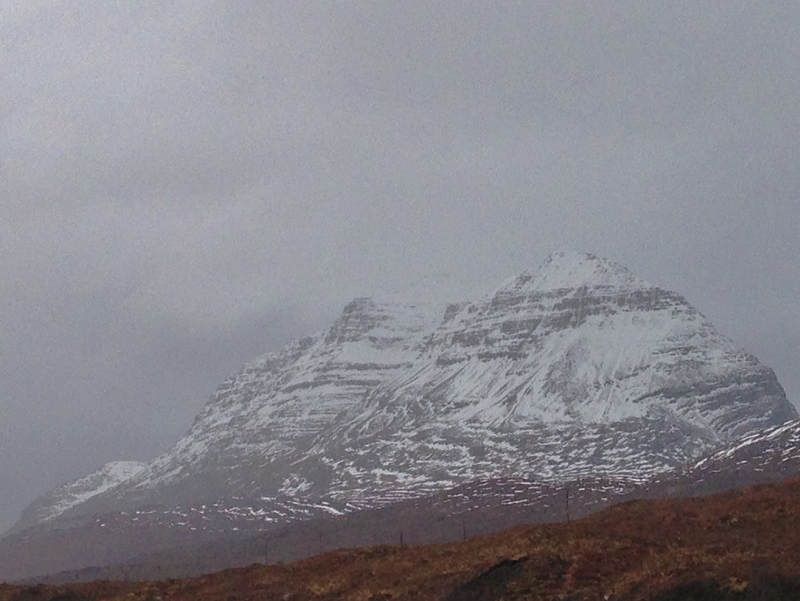 Snow loss on Liathach! Snowpack becoming patchy at lower levels. The ‘rough’ snowline is around 450 metres. 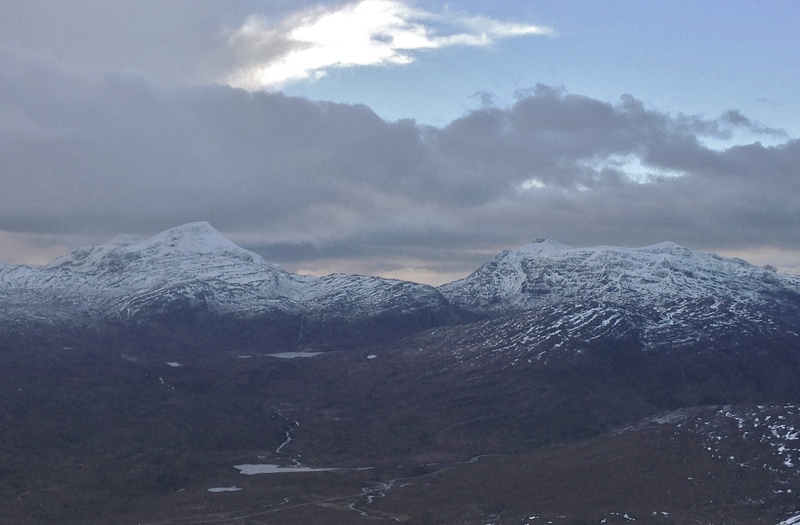 Looking from Beinn Eighe across Glen Torridon to the south Torridon hills. Bands of rain throughout the day, some heavy and persistent. Coire an Laiogh, Beinn Eighe. The larger cornices become unstable through the morning with recent cornice debris noted in the coire.